Nail care goes well beyond color. Base coats and top coats help protect the nails, seal in color and improve the wear time of polishes and lacquers. But base coats and top coats and nail polish removers are also part of the cosmetics for the nails. 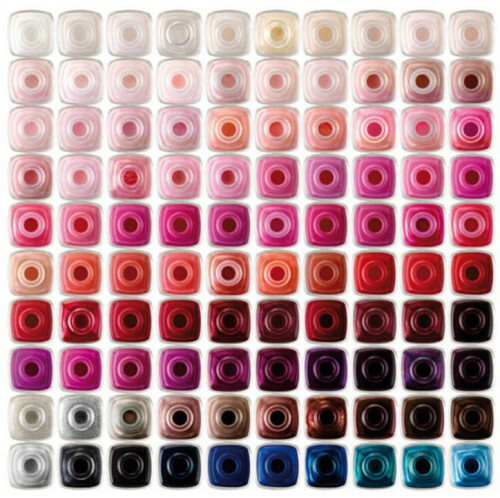 Nail polishes and lacquers come in a variety of colors to suit different tastes, moods, seasons and attires. Many of today’s formulas were designed to dry quickly and wear well, making nail care fuss-free and convenient. And everything ends with the nail color removers. Nail enamel is another name for nail varnish or nail polish. It typically comes in a small glass bottle with a brush attached to the twist-on cap. The nail enamel is the liquid in the bottle that one brushes on his or her nails to add color. After a few minutes, the liquid hardens and dries, forming a thin shell-like layer over the nails. The four major ingredients in nail enamel are filming agents, solvents, coloring agents and resins and plasticizers. Each company has its own formula, which is why there are so many brands and types available. Ingredients in some nail polish and polish remover can dry out the nails. Elle, a celebrity manicurist, suggests her clients use polish that is free of formaldehyde, toluene, and dibutyl phthalate. She also recommends using an “alcohol free” nail polish remover . Give nails some breathing room and time by taking a break from nail polish and regular manicures. If selecting the color was not difficult enough, polishes come in a variety of finishes, from matte to glittery, and formulas that promote growth, strengthen nails, dry fast and extend the life of your manicure. Which type of nail polish you choose will depend on the health of your nails as well as the amount of time you have to commit to painting them. – Nail Polish Finishes: shimmer, glitter, frost, lustre, crème, iridescent, matte, foil and so many others. – Long Lasting Nail Polish: It is a cross between a regular polish and gel nails set with UV light. This gel polish is painted onto natural nails just like regular polish, but cured under UV light layer by layer. The artificial nails are not a replacement, but an extension for natural nails. There are two main approaches to creating artificial nails—tips and forms. Tips are made of lightweight plastic plates that are “nail” shaped. They are glued on the end of the natural nail and acrylic or gel is then applied over the entire nail. Forms are fitted over the nail and then an artificial nail is mould out of acrylic and the form is removed and then properly shaped and buffed to a shine. The acrylic is made of a combination of polymer powder and monomer liquid. Once it is applied hardens within few minutes. Gel nails are artificial nails that are the closest that you can find to natural nails when it comes to resemblance. They are quite similar to acrylic nails as they are both made from a combination of a monomer liquid and polymer powder. The monomer liquid will react with the polymer powder and will form long polymer strands. These strands when they dry out will form a hard resin that will look very similar to a fingernail. Acrylic nails tend to be more brittle where as the gel nails are flexible as they contain short chain monomers that are known as oligomers. Gel Nails – hardened using ultraviolet light. Better properties (strength, flexibility,.. ), but mainly removable by filing, although there are UV gels removable with acetone. Acrigel or “Polymethyl methacrylate acrylics” – are hardened with the use of a special gel activator. The mixture starts to harden in 20–30 seconds after application and continues to cure to final hardness typically within fifteen minutes. It is removed by solvents. Done by cutting pieces of actual fibreglass, linen or silk fabric to fit on the surface of the nail or tip and then it is sealed down with a resin or glue. This adds strength, and sometimes length, to the nail. Also though applied on top of natural nails, wraps are most commonly used to strengthen tips. – Silk is the most natural-looking wrap and provides a lot of flexibility, but it is often too delicate for those with an active lifestyle. – Linen is stronger, but not transparent and appears quite thick. – Fibreglass provides the best of both worlds since it gives the natural look of silk and the strength of linen. 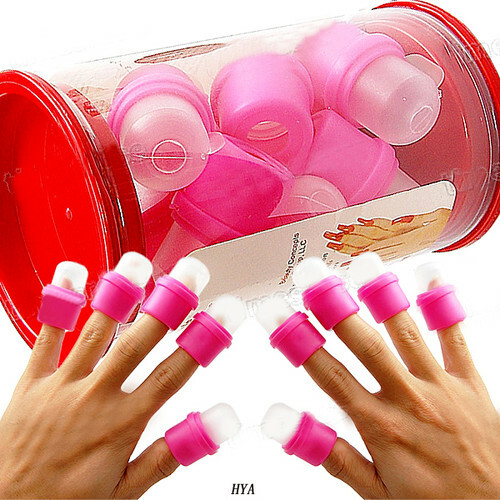 Helps the polish stick to your nail more easily and also creates a barrier that helps protect your nails from the damaging effects of nail polish. It prevents staining and peeling, and it will give your polished nails a more even texture. Ridge Filler is a base coat ideal for ridged and uneven nails as it will create a super smooth surface. Suitable for all nail types. Apply one coat of ridge filler base coat on natural bare nails for a silky smooth finish. This product is perfect for toe nails which tend to ridge easily. Helps to seal the polish, make the nails shine and prevent chipping. Some products combine a base and top coat, but they may not work as well as the individual top and base coats. Many base and top coats are fortified with substances such as protein, vitamin E or calcium. These ingredients help keep nails healthier and prevent breaking, splitting and peeling; these are known as Nail Hardeners, Nail Strengtheners or Nail Fortifiers depending on the problem you want to treat. Is a powerful solvent that removes nail polish quickly and easily, but it can be drying the cuticles. Acetone is also effective for removing oils and preparing the nails for polish. Use acetone to remove acrylic nails. Note: If you have dry nails, do not use an acetate remover. Use for cleaning nail before gel manicure and to buff nails after final cure of gel polish under the light.